BP Plc may plan to acquire some of BHP’s energy assets in the U.S.
BP Plc, a British multinational oil and gas company, has reportedly been weighing a decision to acquire assets from BHP Billiton Ltd, the Australia based mining company, in an effort to expand its onshore U.S. shale assets. 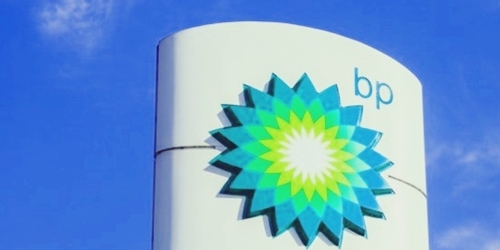 According to reliable sources, Morgan Stanley has been advising BP with the latter’s plans on expansion. BP is also considering swapping conventional assets – where oil and gas typically flow more easily to the surface than shale, with BHP. BHP will be selling assets worth around $10 billion over 800,000 net acres that span Eagle Ford, Permian, Haynseville and Fayetteville Basins. The assets located in the Permian are especially high-prized. BP had previously held the Permian properties until 2010. At that time the company had to sell a number of its assets to make up for the losses incurred in the Gulf of Mexico oil spill. Brian Gilvary, Chief Financial Officer, BP has reportedly stated that in the last 3 to 4 years it has been challenging for BP to find assets in the Permian area that will add to the company’s earnings. BP has therefore taken an interest in BHP’s Permian assets. BP is working towards regaining stakeholders’ trust who have been urging the company to maintain financial discipline, amidst a scenario where large oil companies had been overspending when oil was priced at over $100 per barrel, hampering returns when oil prices fell. According to Gilvary funding the Permian asset deal will be tough for BP with its current capital restraints. BHP disclosed its plans to sell its onshore U.S. shale last year when it was revealed that its foray into shale had wiped out $40 billion. BHP spent $20 billion on two U.S. oil and gas acquisitions in 2011 and in November 2017 declared that the divestiture process could take two years. Royal Dutch Shell Plc, Shell and Blackstone Group LP have also expressed their interest in acquiring BHP’s Permian basin assets.